“Raising Able: How Chores Empower Families” teaches you how to give kids the priceless gift of self-discipline, and prepare them for adolescence — when you want them to make good independent decisions when they’re 60 miles away, going 60 miles an hour. The book covers how chores develop responsibility and self-esteem in children, create a family team, how to use family meetings and dinner to steer youths away from drugs and alcohol, and the power of Triple E — Expectation, Encouragement and Empowerment. “Raising Able” will turn down the volume at your house and turn up the harmony. 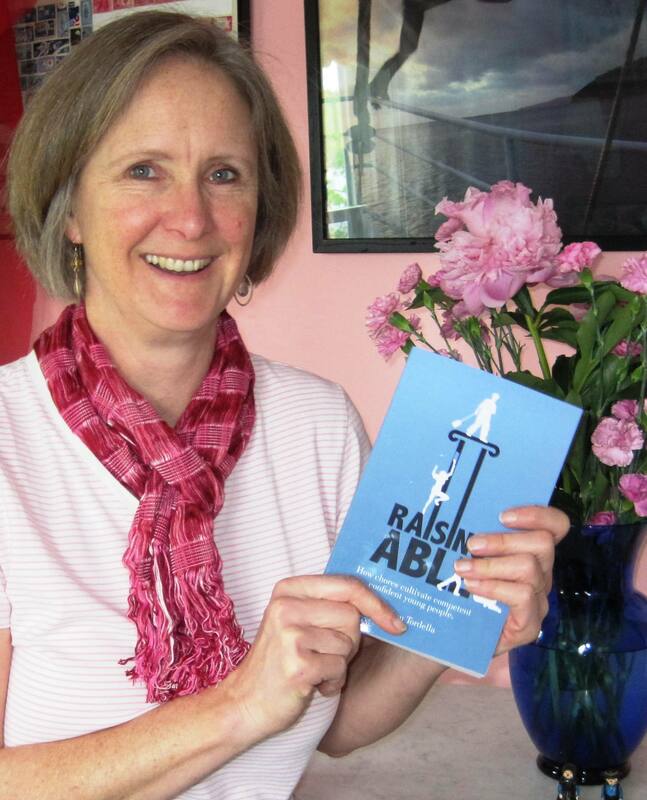 “Raising Able” is for sale on Amazon in hardcopy and a Kindle copy for $4.99. Check out the many reviews. Are mornings a daily source of stress? Do you scurry around your children — from toddlers to teenagers — nagging them to “hurry up and get ready?” Do you wish they would get their act together in the morning? This free e-book contains the answer to your chronic morning problem. Follow the advice in this book and you will empower your children and create peace and harmony in your heart. Warning: it requires YOU – the parent — to change. This is parenting education. Like dog training where you train the human, not the dog. You cannot change the children — you can only change your RESPONSE to them. This short book will give you a plan to implement — not try. You must be committed. “Are You Ready Yet?” presents a strategy that works when applied as prescribed. NOTE: if you must do the most drastic measures, it will most likely require only ONE DAY of radical action for them to learn. Then they will learn cause-and-effect for everyone’s benefit. CLICK on the image below to download the free e-book.